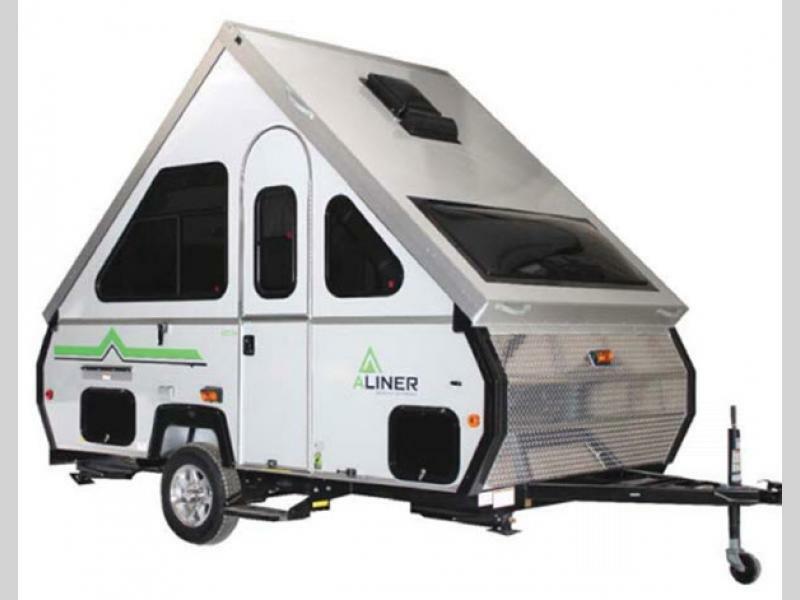 The Classic A-frame camper trailer by Aliner has been around for many years, and it just keeps getting better from this original design. The Classic isn't our biggest trailer but definitely is not the smallest, it's probably the one that fits just right into your camping lifestyle. Each model includes vacuum bonded fiberglass panels on an E-coated frame, torsion axles, and even a solar port for the off-grid type. 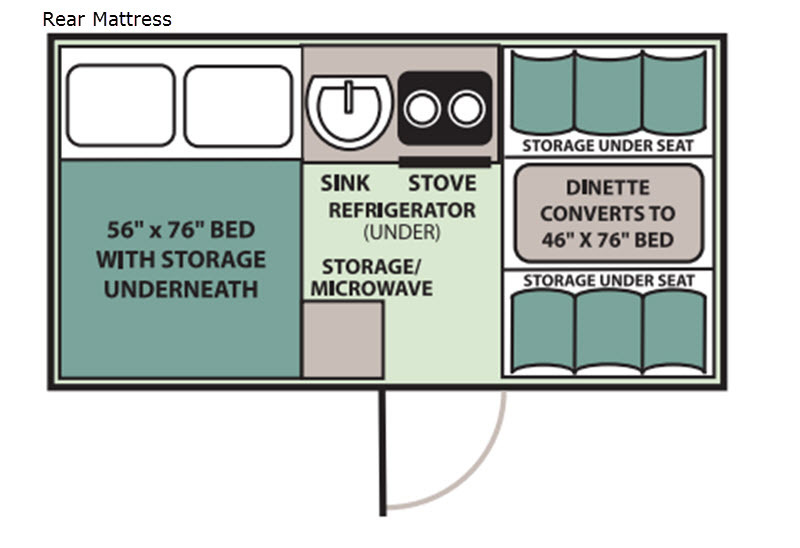 Inside you will enjoy the galley with a single sink, a stovetop, a microwave and a 3.0 cu. ft. refrigerator with a freezer. 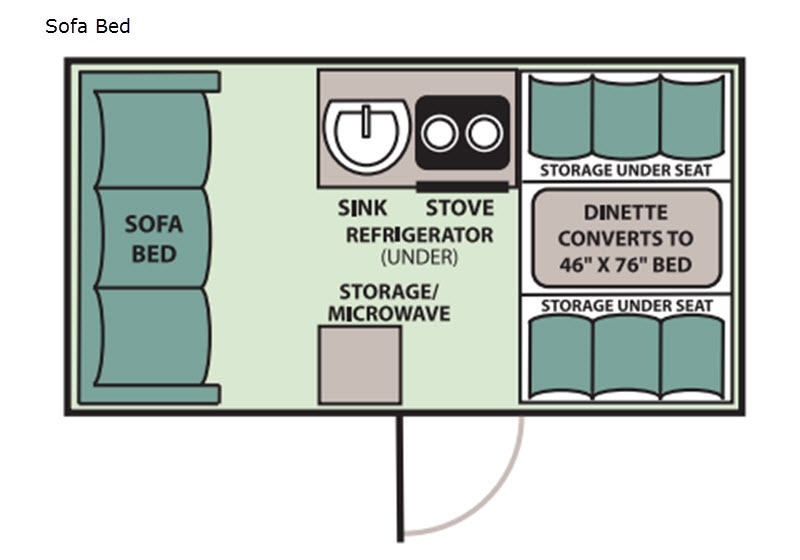 You will also find PerfoMax 500 flooring, and extra sleeping space on the booth dinette. No worries on leaving anything behind with the exterior and interior storage. 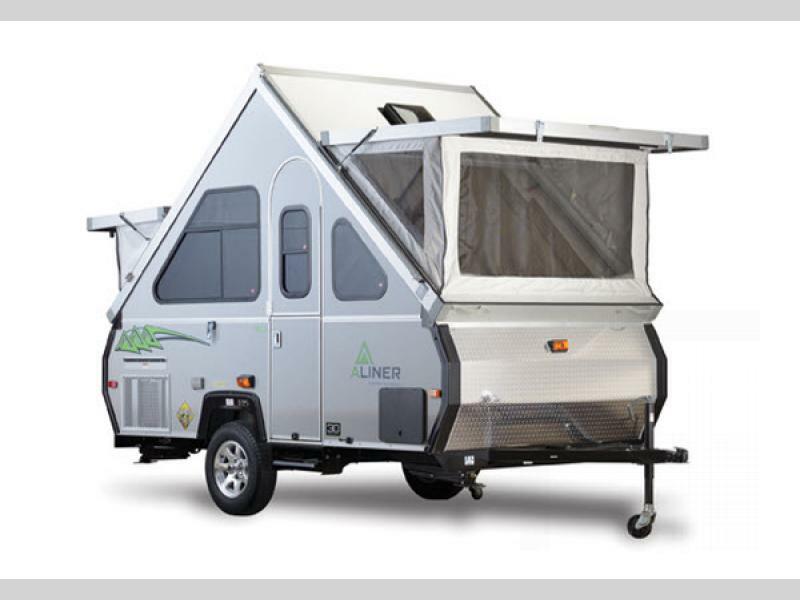 Lightweight, economical, easy towing and comfort are included in the Classic A-frame camper by ALiner, so why wait? Get your new Classic today!